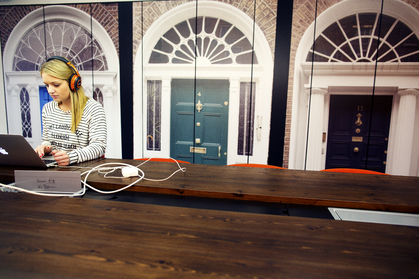 Today, HubSpot announced a commitment to hiring an additional 320 Dublin-based employees over the next three years. In order to accommodate that growth, the company officially opened its new office space at One Dockland Central, located just around the corner from the original HubSpot Dublin offices at North Quay Wall. 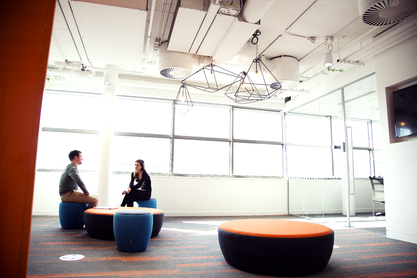 When HubSpot established its first international office and EMEA headquarters in Dublin just over three years ago, few of us could have imagined the growth and success we’d see. We delivered on our promise to bring aboard more than 150 employees across all aspects of HubSpot's business, including sales, marketing, services, support and a full engineering team who have pioneered some of HubSpot’s most important product development initiatives. Welcoming the announcement, Richard Bruton TD, Minister of Jobs, Enterprise and Innovation, said, "The growth and success of technology companies has been a major contributor to the recovery we have seen in the jobs market and the economy over recent years. HubSpot is a highly innovative company in a fast-growing niche within this sector, and it was clear when we first met in Boston in 2012 that they had highly ambitious plans for their Dublin expansion. I am delighted to be here to celebrate HubSpot’s achievements here since it established its first operation three years ago, and to welcome their announcement that it will grow its workforce by 320 people over the next three years. Targeting high-growth technology companies has been a central part of our jobs plan, and I am delighted that a leading company like HubSpot has shown such confidence in Ireland." rooftop terrace (to open later this year). 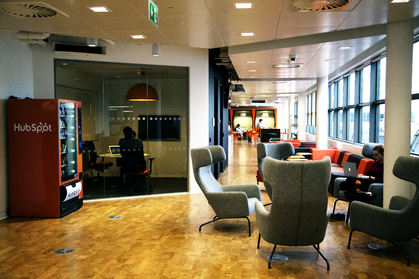 The office also includes key characteristics that have become HubSpot staples across all of our global offices: All 270+ desks in the space are electronic and can convert from sitting to standing at the push of a button. The office is equipped with varying conference rooms, collaboration spaces and nomad desks so that employees can choose the space they work best in. And, Dublin employees will now have a dedicated IT help desk and an ever-popular IT-vending machine. 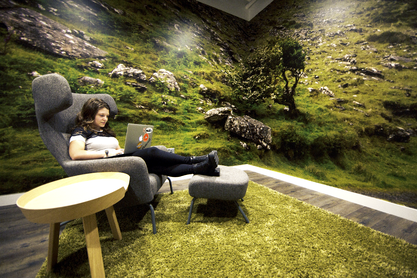 While incorporating a culture that has come to define HubSpot globally, the new Dublin office features some key elements that are uniquely Irish and also give a nod to the many different European cultures that are represented throughout HubSpot’s EMEA’s employee base. For example, hallways throughout the space are wallpapered with photographs of classic “Dublin Doors” taken by one of HubSpot’s long-time employees. There is a room furnished with a table made from an authentic Irish whiskey barrel, while beers on draught include Peroni, Heineken, Guinness, Bulmers cider, and rotating local craft beers. As HubSpot doubles-down on its commitment to Dublin, the office will be led by HubSpot’s newly appointed Managing Director of EMEA, Christian Kinnear. Christian joined HubSpot in late 2015 as Director of Sales, EMEA and was appointed to succeed Jeetu Mahtani as Managing Director of HubSpot EMEA in early 2016. Christian joined HubSpot from Google’s Dublin office where he served most recently as their International Head of Sales Development. Together with Declan Fitzgerald, HubSpot’s Global Recruitment Director, Christian is focused on establishing HubSpot as a leading employer in Dublin for workers from across Europe. As HubSpot’s presence across Germany, France, Switzerland, Spain, Benelux the Nordics, and beyond continues to grow, so does the need to employees who speak those languages and understand the nuances of each region. 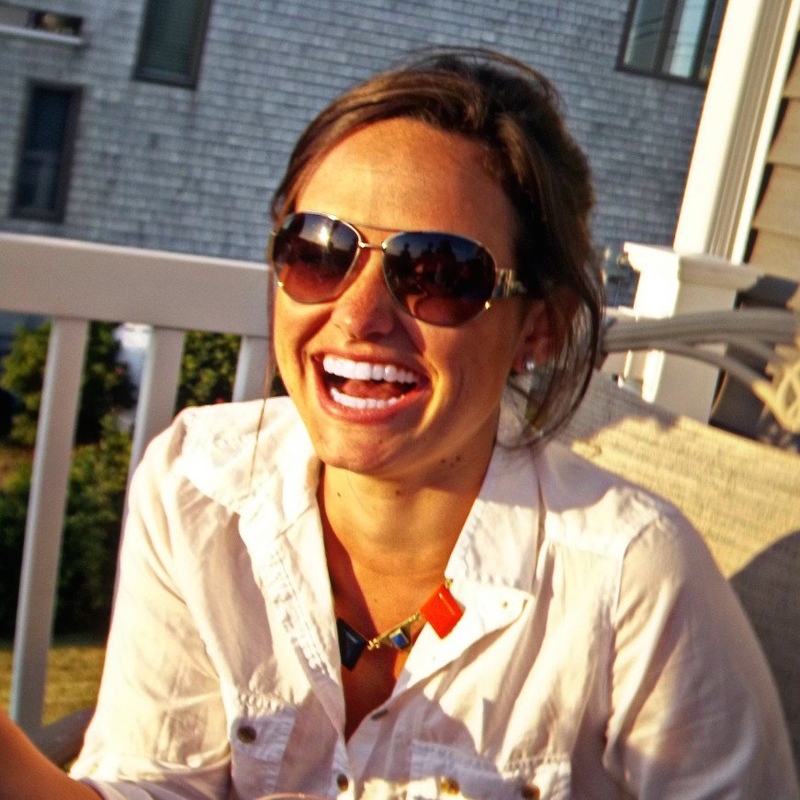 “HubSpot has just scratched the surface of what we can achieve in EMEA. We’re proud to be leading that charge from Dublin and excited about the outstanding opportunities we can provide employees across all functions,” said Kinnear. “It’s our mission to create remarkable experiences and results for our customers and with the right people, there will be no stopping what we can accomplish.